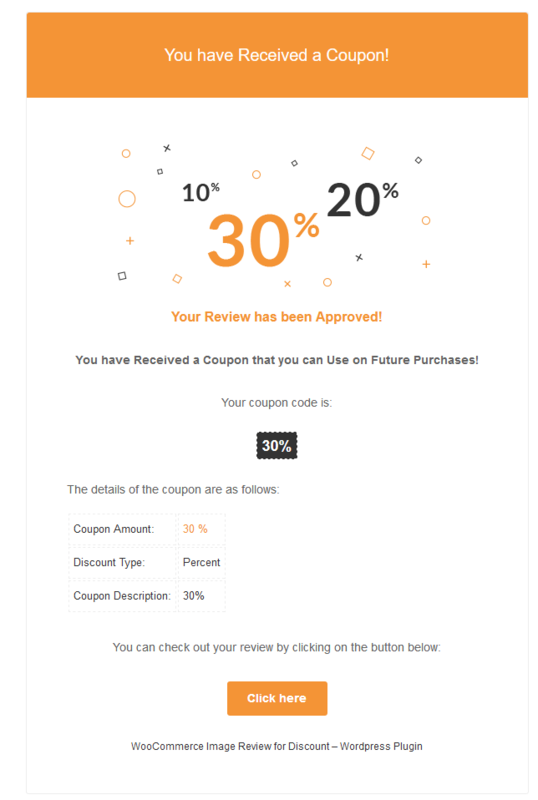 The user gets a “Invite” email telling him that if he reviews the purchased product, he will get a discount coupon for future purchases. 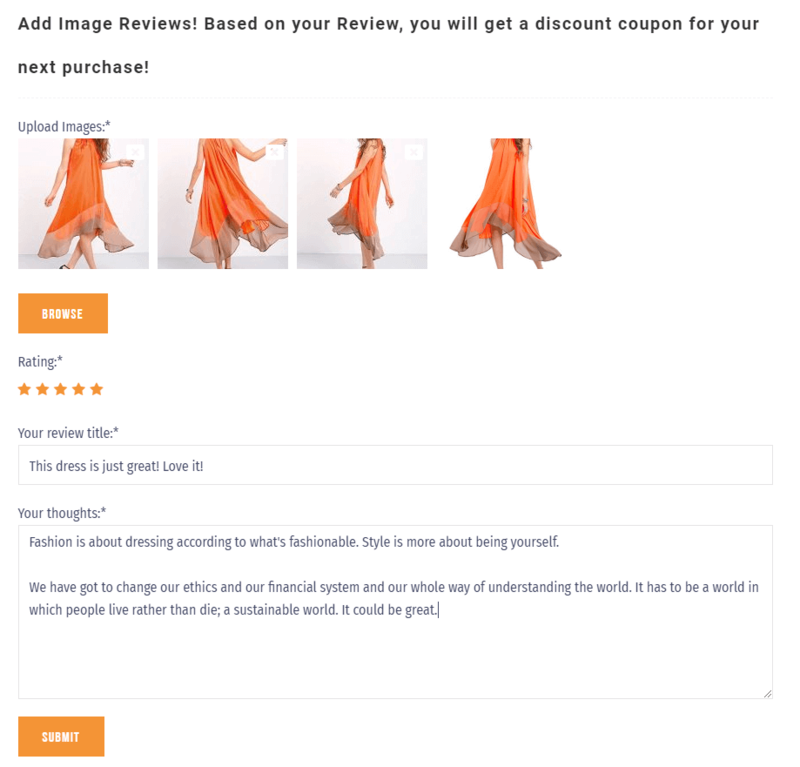 When the user returns to your website he must be logged in order to leave a review. Users are restricted to only be able to upload JPG & PNG files. All reviews have a “Pending Status” and must be published by an administrator. 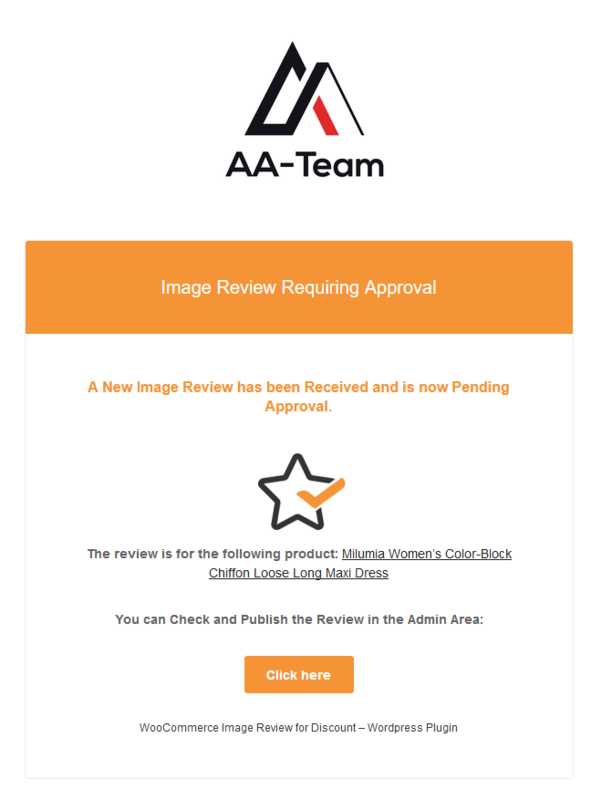 The administrator gets notified by email that a new review was added on his website. 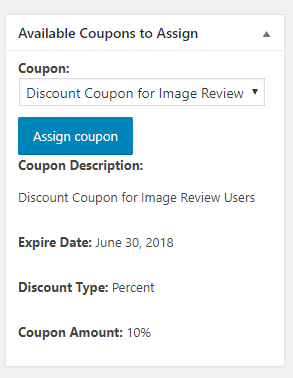 When the Administrator Edits the Review, he has the possibility to Assign a Coupon for the review. You can create multiple coupons and assign different coupons to different users. 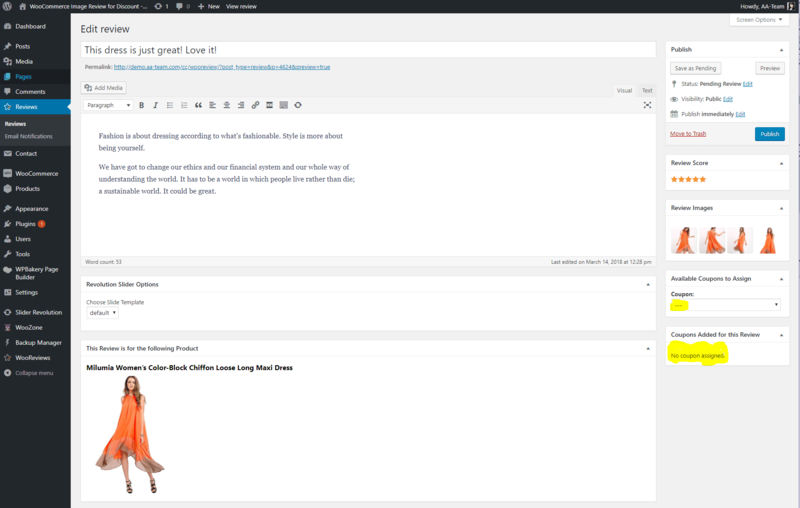 After you assign the Coupon, the User will get an email that he received a Coupon that can use for future purchases!